Whale Journey: Connecting with the Humpback Whales is a 28-minute evocative and experiential film about humpback whales, with stunning underwater footage that includes whales initiating contact with people. It sheds light on who these magnificent beings are--their vast intelligence, and their importance in the planet’s ecosystem. It contains informative quotes from scientists about the whales interspersed with video footage and slides. The audience is anyone with an interest in whales, from an environmental perspective of protecting whales, to the consciousness of the cetacean brain and intelligence, to interspecies communication research and experience, to those wanting to have a personal encounter with whales. This film can also be used as part of an educational program. Whale Journey is available for purchase for $19.95 through Amazon , my estore www.createspace.com/394078 and through me by using the Buy Now button above. See the trailer above and on YouTube at https://www.youtube.com/watch?v=iRc213xrvkI. This film was created from my photographs and videos while in Tonga with the Humpback whales. They are magnificent beings with a vast and deep consciousness, which has expanded my sense of who I am. 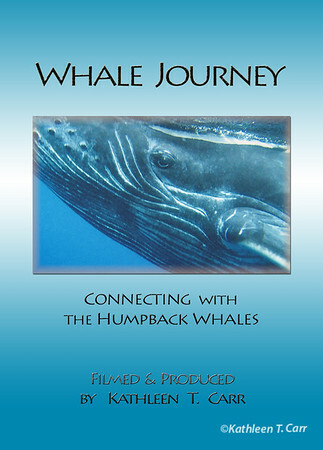 For more information about the DVD and whales, visit http://www.whalejourneyfilm.com and also the Facebook page at https://www.facebook.com/WhaleJourneyFilm/. Add a like and share with friends who might be interested. Dolphin DVDs and video footage. I have been filming dolphins, whales and other marine life since 1995, and have amassed quite a collection of footage. I am now offering clips for licensing. Please contact me if interested. Check back for a forthcoming Dolphin DVD--delightful sequences of the Hawaiian Spinner Dolphins.